The ZoneFlex 7782 Series is the first dual-band 802.11n outdoor access point (AP) to integrate BeamFlex+ adaptive antenna technology coupled with transmit beamforming (TxBF) to enable much longer range signals, and more resilient mesh connections that automatically adapt to interference and changing environmental conditions. The ZoneFlex 7782 Series implements Ruckus-patented BeamFlex+™ smart antenna technology that enables consistent, high-performance, extended coverage and multimedia support in the most challenging RF environments. BeamFlex+ combined with TxBF is capable of delivering up to 6 dB of signalto-interference-plus-noise (SINR) improvement above the antenna gain and up to 15 dB of interference mitigation. Ruckus ChannelFly dynamic channel management optimizes client throughput up to 50 percent by selecting the best channel to operate on. Supporting advanced Smart Mesh Networking, the Ruckus ZoneFlex 7782 Series is perfect for service providers looking to quickly and economically expand branded broadband services, offload data traffic from congested 3G networks, deploy multimedia hotspots or offer wireless broadband services where fixed line access is limited. The ZoneFlex 7782 Series can be centrally managed by the ZoneDirector Smart WLAN controller or the Smart Cell Gateway (SCG) 200 as part of a unified indoor/outdoor wireless LAN, deployed as a standalone AP and managed individually, or through the FlexMaster remote Wi-Fi management system. 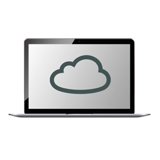 A Web-based wizard allows any computer user to configure ZoneFlex 7782 Series — creating a secure and sophisticated WLAN in a matter of minutes. 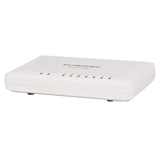 Ruckus ZoneFlex 7782 Series simply plugs into any Ethernet network and automatically discovers the ZoneDirector or SCG 200. No RF tuning, no client configuration needed. The small, lightweight hardware unit is designed for easy installation and to minimize the visual impact and public awareness challenges of introducing new infrastructure to a public venue.